Liam was sitting in his carseat, ready to be hauled off to daycare. It was pouring, and I had nothing to cover him with. The cute flannel receiving blankets are too small for the job and would just dangle in his face if I draped them over the handle. An umbrella wouldn’t have been much help, since I don’t have the strength and dexterity to both hoist the 30 pounds of combined plastic and baby and cover everything adequately with an umbrella. He’d end up jostled, wet, and angry. 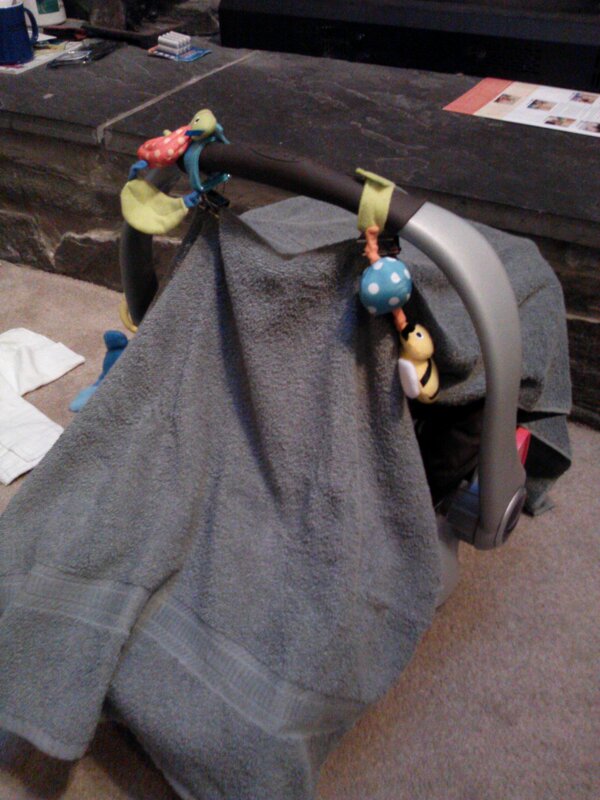 So… other options… I found a small bath towel and draped it over the carseat. It was exactly the right size to cover the seat without dragging on the floor, but I couldn’t pick it up. 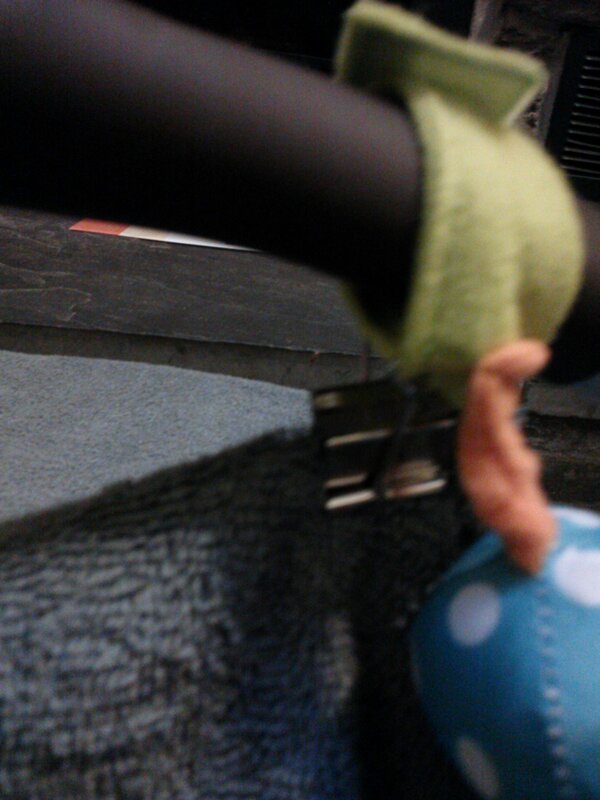 The towel slid all over the handle and wouldn’t give me a good enough grip. The carseat canopies you can get custom made on Etsy, by people who have talent and time, have little straps so that they hang under the handle. This entry was posted in Life and Family and tagged carseat, genius moment, kiddo on September 27, 2014 by antijen.